The offices are arranged around the beautiful Atrium which rises the full height of the building. We offer some of the best views in Paisley, over the White Cart Water and the Abbey. 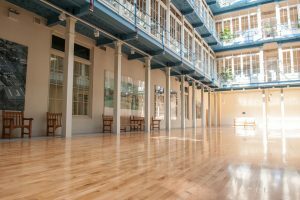 High specifications include raised access floors and current occupants include The Scottish Ministers and a Finance company. Anchor One was built in 1886 and is traditional on the outside but modern on the inside. It really is an impressive building, especially the Atrium. 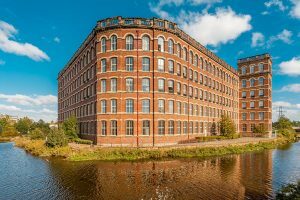 Paisley’s last surviving spinning mill building, it played a key role in the global cotton industry. The building highlights the massive influence Paisley had on the thread industry. 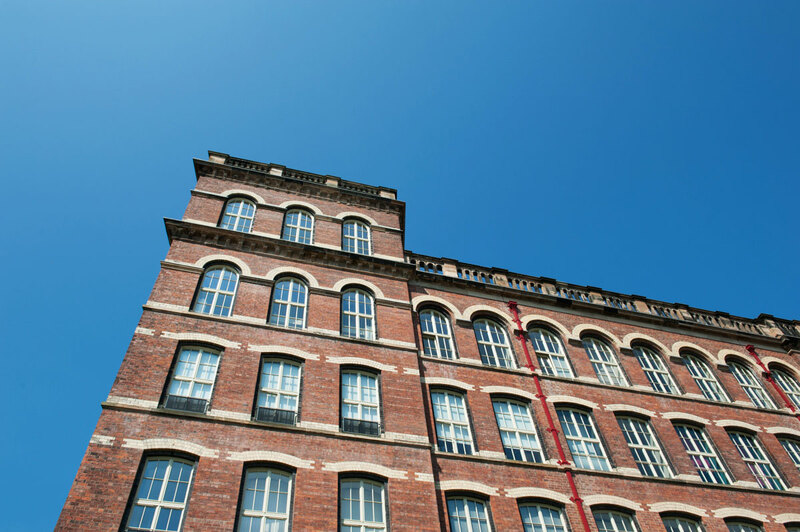 The windows are double glazed and offices can be customised, as an additional project. The office space is from 500 sq ft – 1200 sq ft. Car parking spaces will be allocated and permits are given based on the size of the office. We encourage the use of public transport and we are a 10 minute walk from Paisley Train Station. We have a secured door entrance system, all tenants will have a 2-way intercom system in their office. The offices will be released in the first half of 2019, if you would like to be put on our reservation list, please make contact with Louise Wightman on 0141 889 8000. Alternatively, please email here.